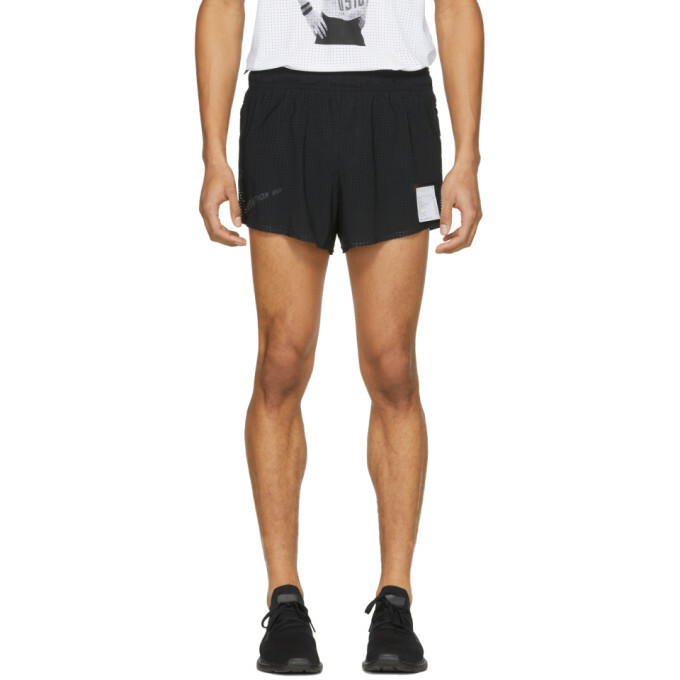 Slim-fit mesh shorts in black. Mid-rise. Drawstring at layered elasticized waistband. Three-pocket styling. Tonal text bonded at front. Tonal stitching. 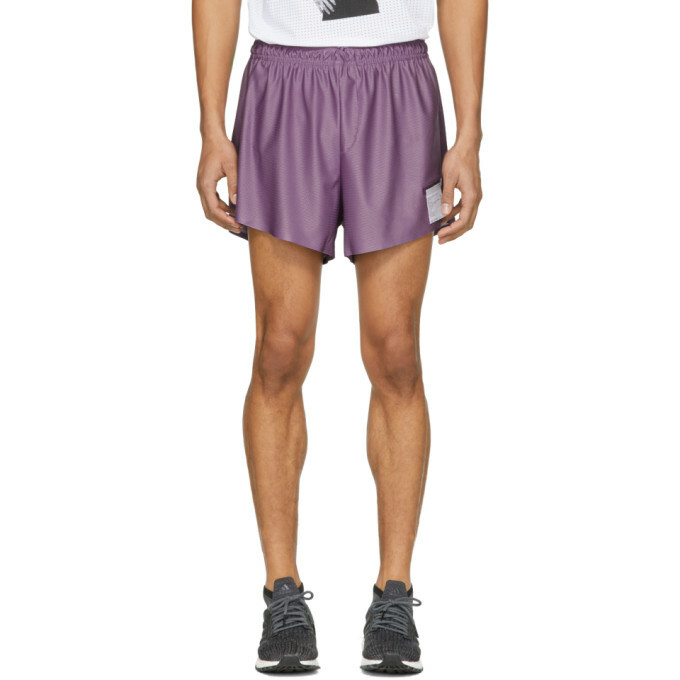 Slim-fit mesh shorts in 'grape' purple. Mid-rise. Drawstring at layered elasticized waistband. 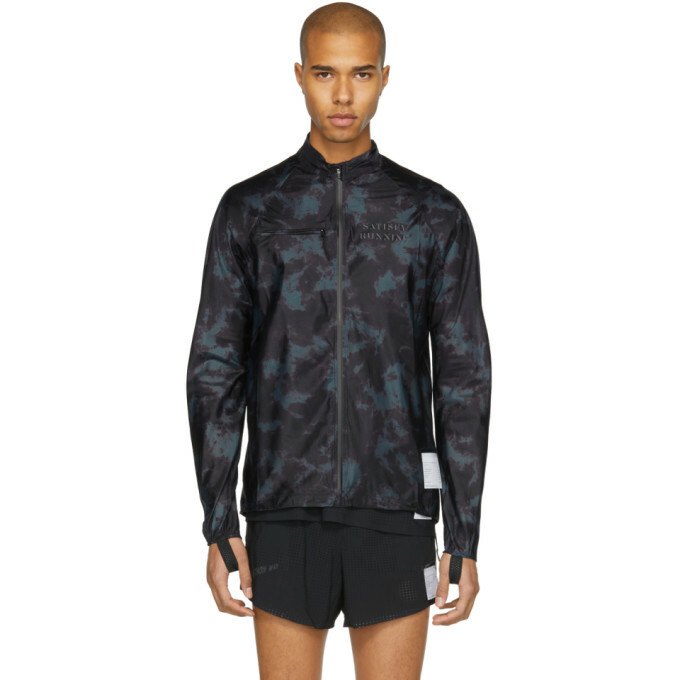 Zippered pocket at back. Vented side-seams. Partially lined. Tonal stitching. 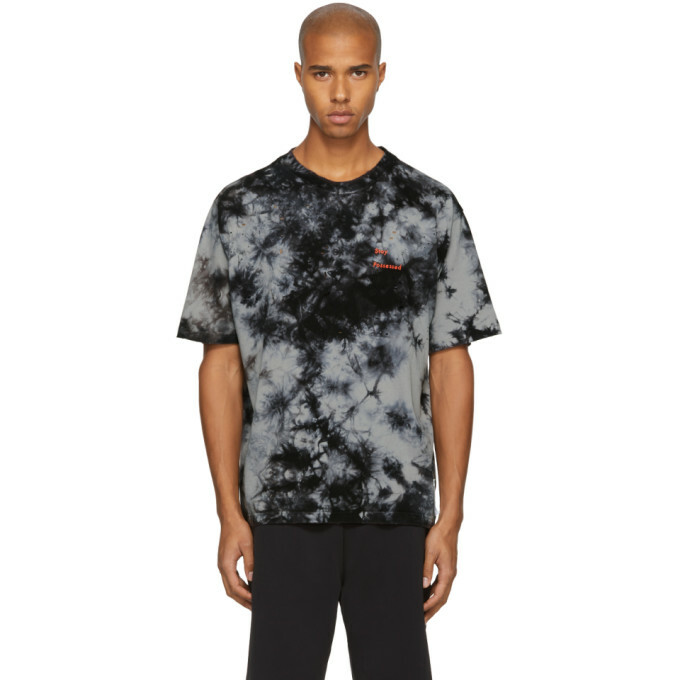 Short sleeve overwashed cotton jersey t-shirt featuring tie dye pattern in 'night' black and grey. Distressing throughout. Rib knit crewneck collar. Text embroidered in red at chest. Tonal stitching. 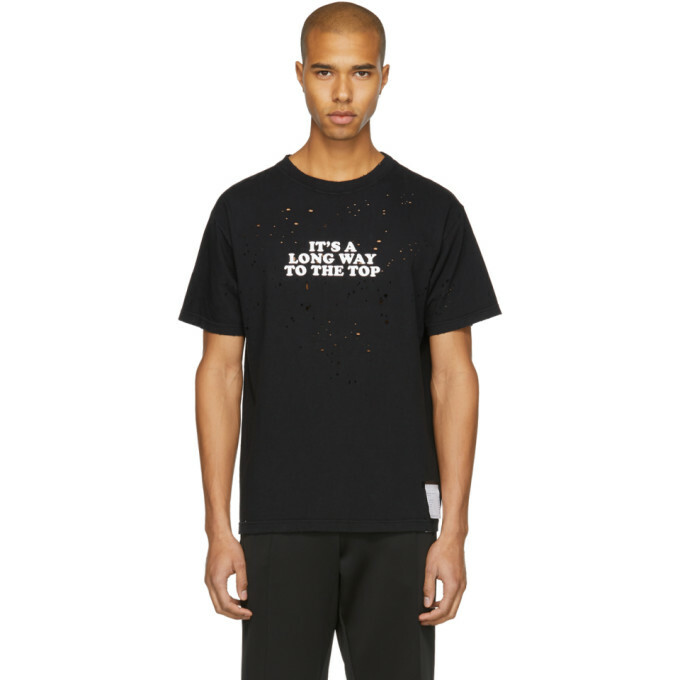 Short sleeve cotton jersey t-shirt in black. Distressing throughout. Rib knit crewneck collar. Text bonded in white at front. Tonal stitching. 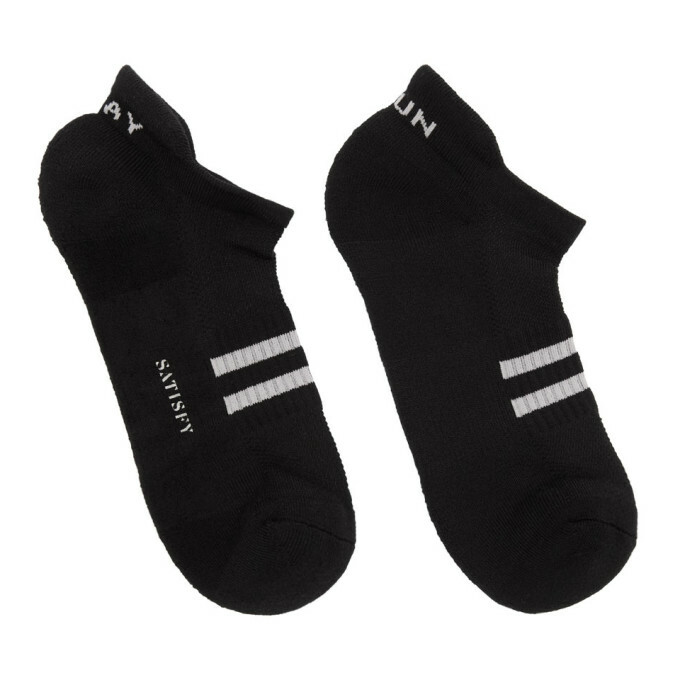 Stretch merino wool-blend socks in black. Rib knit panel featuring stripes in pink at foot. Mismatched intarsia text in pink at cuffs. Logo printed in white at sole. Tonal stitching. Long sleeve French terry sweatshirt in 'washed' black. Fading and distressing throughout. 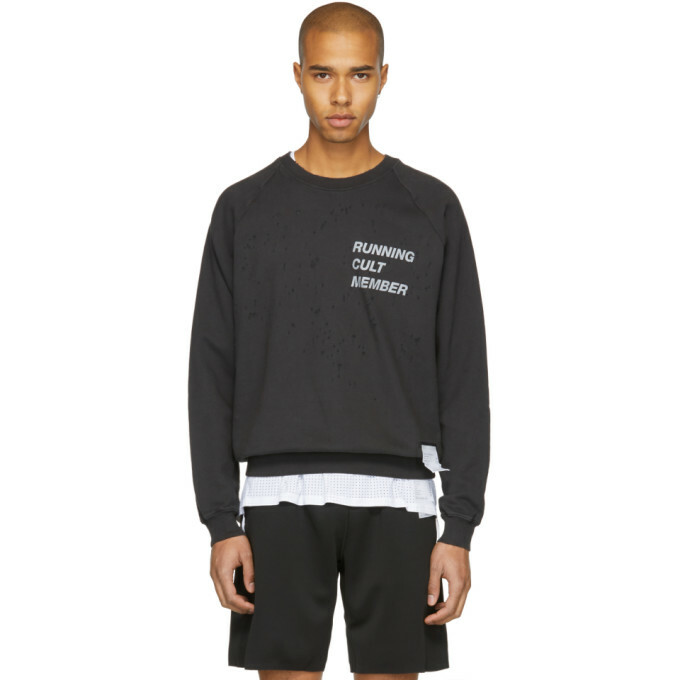 Rib knit crewneck collar, cuffs, and hem. Text bonded in grey at chest. Raglan sleeves. Tonal stitching. 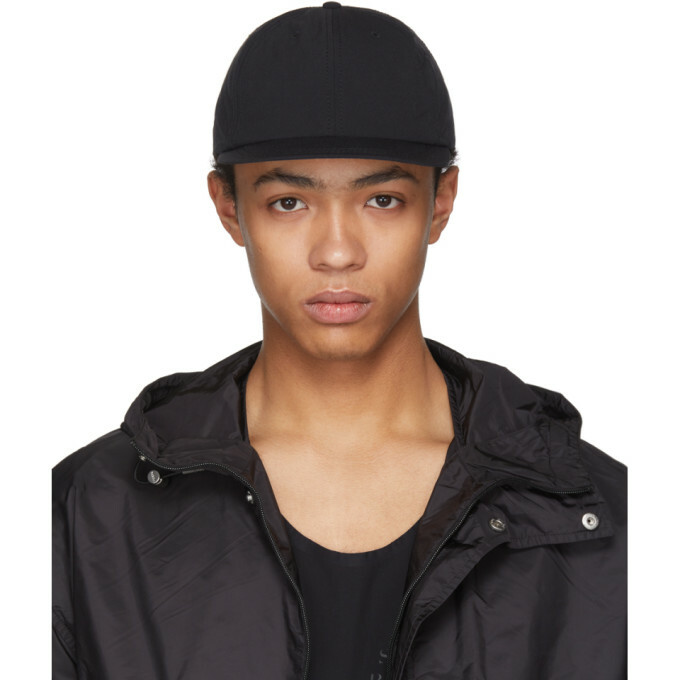 Water-repellant stretch nylon cap in black. Eyelets at crown. Ripstop panel in navy at brim. Logo printed in white at adjustable Velcro strap. Tonal stitching. 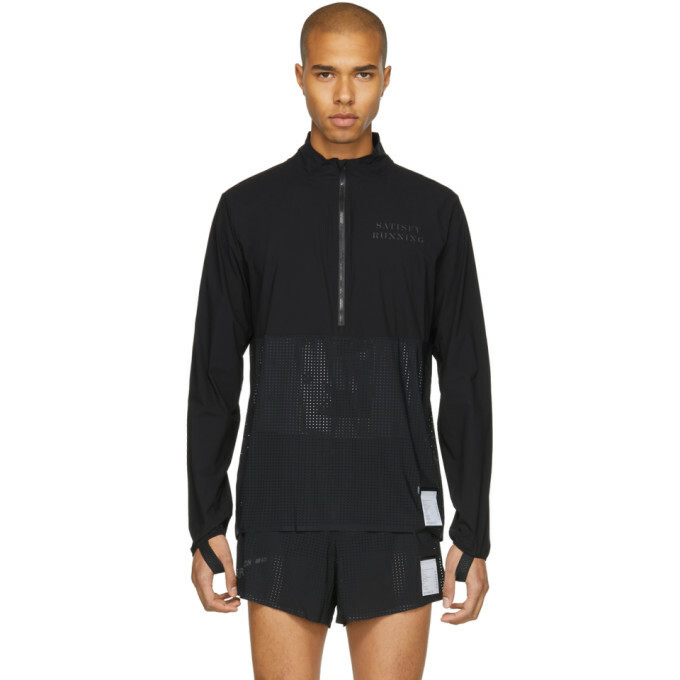 Long sleeve technical jersey and mesh zip-up in black. Stand collar. 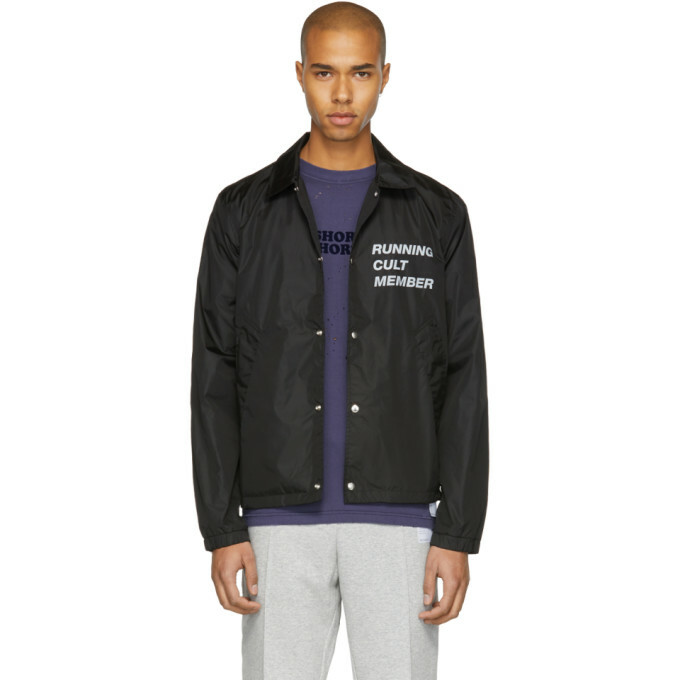 Zip closure and tonal bonded logo at chest. Elasticized mesh wrist strap at cuffs. Tonal hardware. Tonal stitching.